The third floor bedroom offers a bit of privacy, a flat-screen television, and private bathroom. 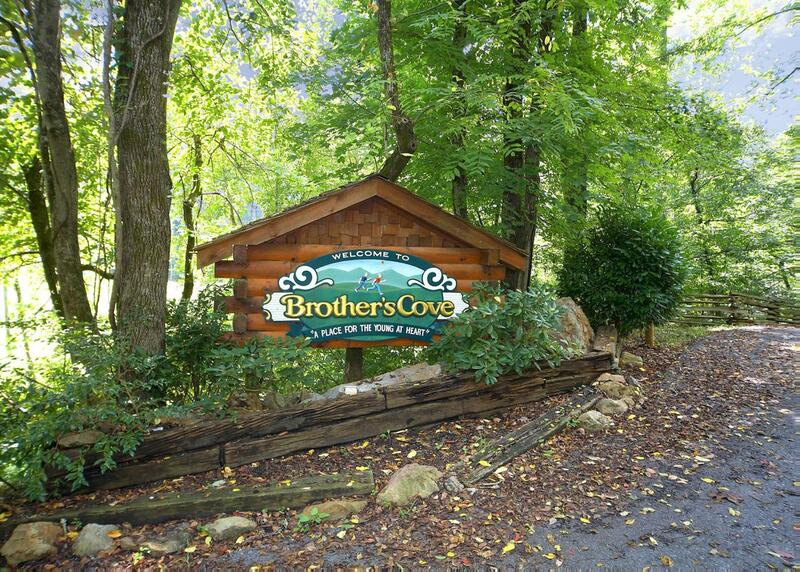 Bear Track Inn is a spacious, three-bedroom, three-bath log cabin in the Brothers Cove Resort. Comfortably sleeping eleven, there is plenty of room for everyone to join in. The living room features a flat screen television, wood-burning fireplace and more than enough seating for the whole group. Enjoy preparing meals in the fully-equipped kitchen, complete with stainless steel appliances and a dining room table that can seat eight, with additional seating at the breakfast bar. There is a charcoal grill outside for additional cooking. The master bedroom features a king-sized accommodation, a jetted-tub, and a television. Guests in this room will have access to a private bathroom. Upstairs, guests can enjoy a game of pool, Foosball, or Wii, along with the cozy futon, providing additional sleeping accommodations. The second bedroom has two queen-sized beds, and features a jetted-tub, and flat-screen TV, along with a private bath. The third floor contains the third bedroom, offering that has two queen-sized beds, a flat-screen television, and private bathroom. Enjoy the great outdoors on one of the three decks and take advantage of the hot tub, the cozy rocking chairs, and grilling on the charcoal grill. We apologize, but the Bear Track Inn does not accommodate pets. Bear Track Inn #59 is rated 4.8 out of 5 by 8. Rated 5 out of 5 by Brooke Gaffney from Feels like home! We vacationed here in May and had a perfect vacation. This place feels like home! 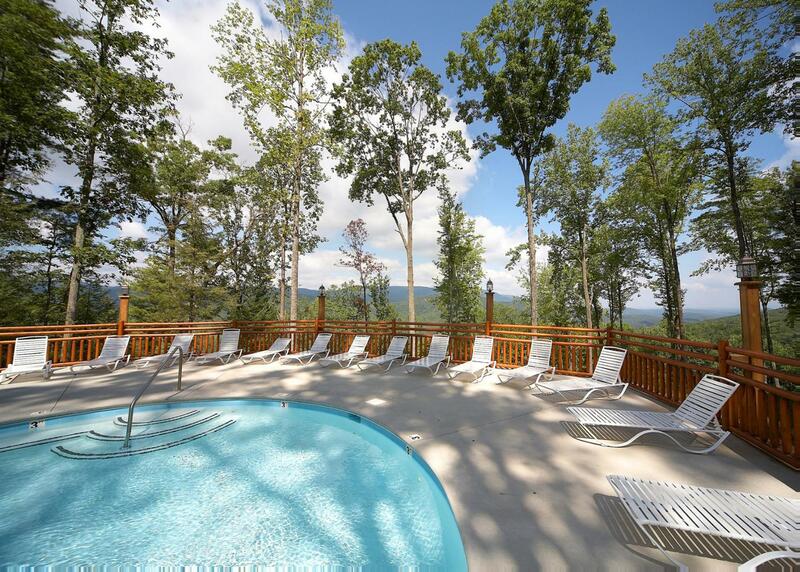 Whether you choose to relax in the hot tub or rock in a chair, the views from the porch are breathtaking. Lodged towards the top of a mountain we were able to experience peace and quiet, which we loved after a long day exploring Tennessee and it's beauty. The home was clean, beds were comfortable, and very spacious. The staff was so friendly and helpful. We will definitely stay here again, we had an amazing time! Thank you! Rated 5 out of 5 by Anonymous from We love this place! We had a blast on our family vacation. This was one of the few times that my entire family (parents and 4 siblings) got together for a vacation and it was amazing. My wife and I got married at the gazebo at Brothers Cove just over 4 years ago and we come back multiple times every year and stay at different cabins and haven't been dissapointed yet! Rated 5 out of 5 by LauraP from Beautiful, relaxing views. My family and I needed some time to relax and focus on each other. The cabin was warm and inviting. It was large enough that with 10 people, we all felt comfortable and uncrowded. The staff was friendly. 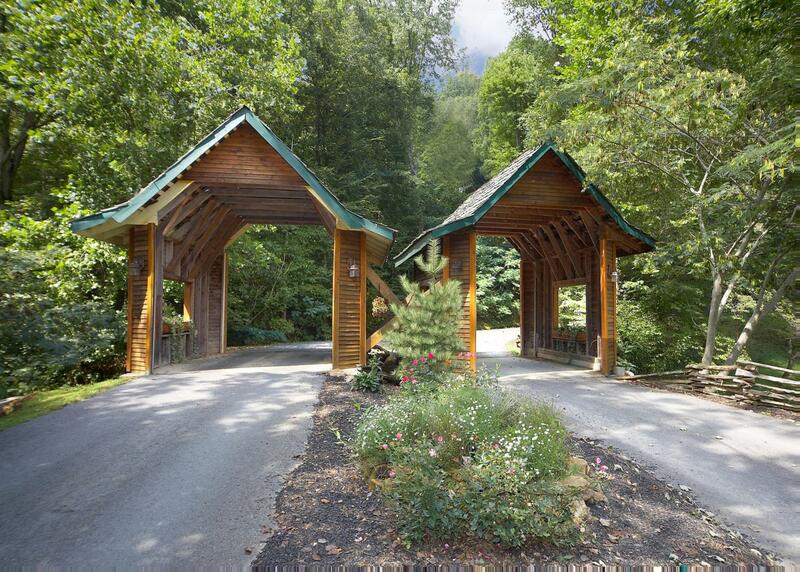 The views were beautiful and it was close enough to Pigeon Forge if you wanted to go out and enjoy the attractions. Rated 4 out of 5 by kakymom from Spring Break 2017 First off, amazing view and we were there before the trees had leaves! Second, we had 3 families (11 people) who had plenty of room to go about and not feel cramped. Very spacious! The kids loved the game tables and the parents loved the porch! 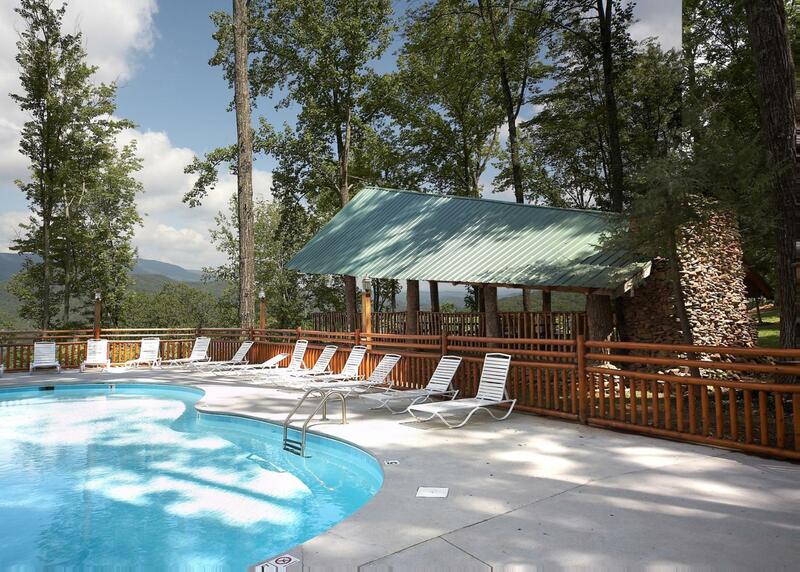 Rated 5 out of 5 by Anonymous from Perfect Cabin Have stayed here twice and it is a the perfect cabin for our family. Very relaxing and the perfect getaway. Rated 5 out of 5 by Sally from Kids loved the pool table and the foosball table. First time renting a cabin in the Smoky Mountains. Was so peaceful and quiet.